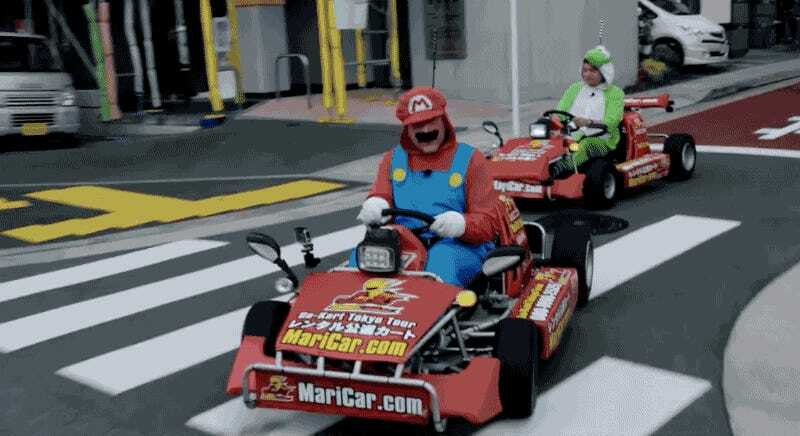 Today, Tokyo District Court ruled against MariCar, the unofficially real-life Mario Kart, ordering the company to cease lending out Nintendo-themed cosplay and cough up ten million yen in damages. Nintendo filed suit against MariCar, now known as MariMobility, early last year for intellectual property violation. The MariCar tours are incredibly popular with tourists, ranking high on Trip Advisor. But besides the obvious copyright issues, there have been other problems, including incidents of tourists crashing MariCar go-karts. The MariCar homepage remains up and still features images of customers in Nintendo-themed costumes, such as Peach, Luigi and Yoshi. In an official statement, Nintendo added that it will continue to take the necessary steps to protect its brand and intellectual property.